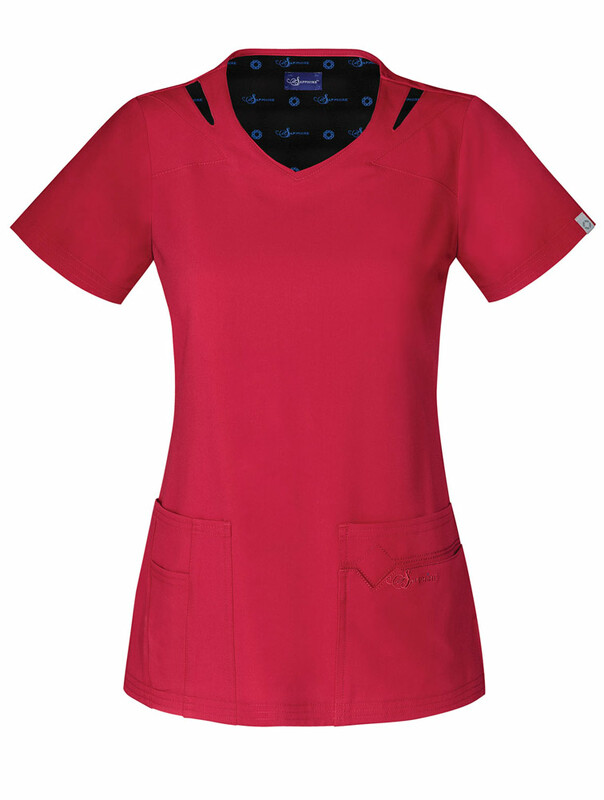 The Paris V-neck top offers a Contemporary fit. Featured are stylized shoulder cutouts and a Sapphire logo print inside the back facing. 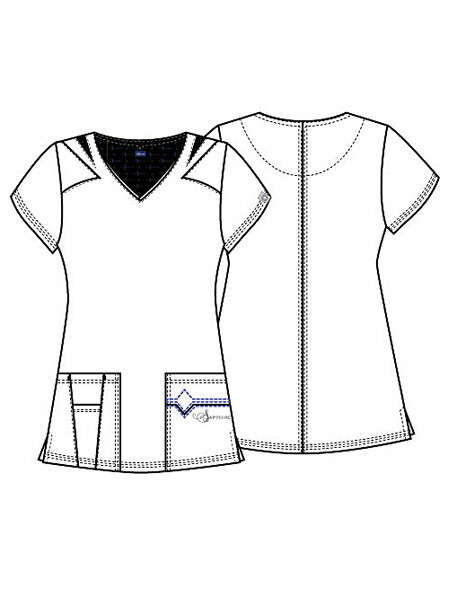 Also featured are patch pockets, one with a tonal Sapphire logo embroidery finished with a diamond shape at the pocket hem, multi needle topstitching, side vents and center back detail. Center back length: 26 1/2".